So now that I can emerge from my report writing I finally get to start feeling more festive. 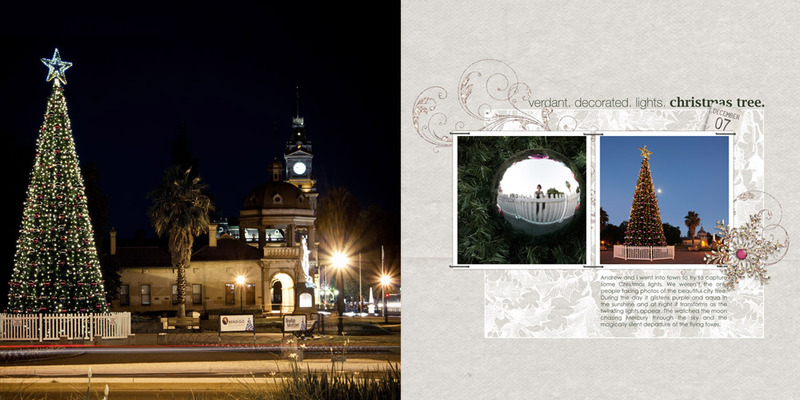 Last night a friend and I went into the city to photograph the tree and was inspired to scrap it using a similar style to the fabulous Jana is using for her Daily December album. Sometimes it seems a shame to make photos small on a page. Lucky we still have the originals full size on the computer! 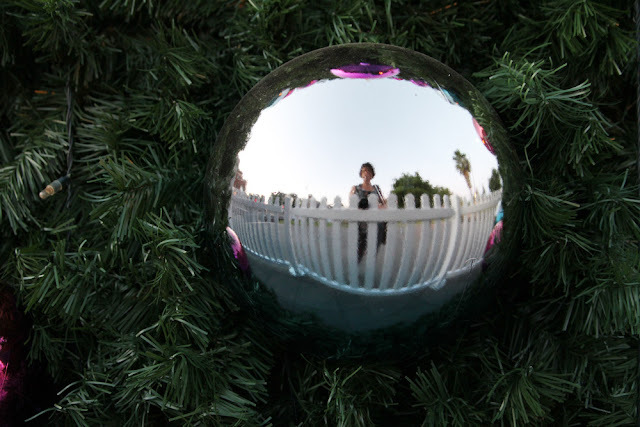 Here's the reflection I took of myself in the bauble (just so no-one can ever say I don't take photos of myself!!). And a panorama (three photos) of the decorations in the front yard of a house on a nearby corner. Christmas dinner out with friends tonight. The craziness has begun...! 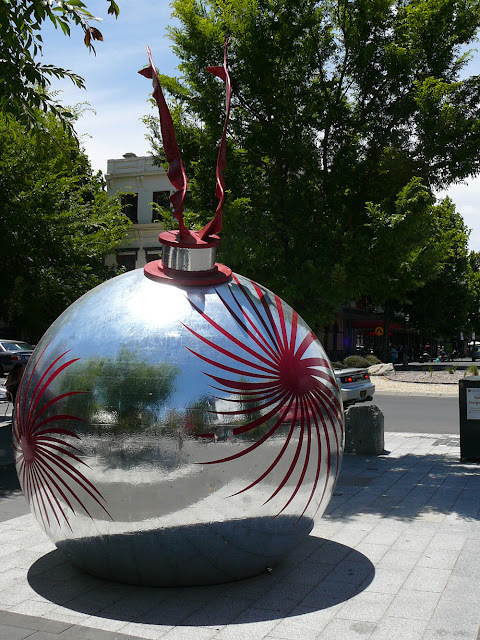 Fantastic photos Esther, love that big bauble.